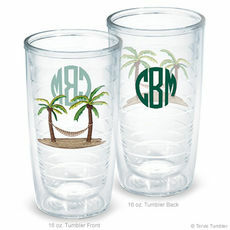 Viewing 24 of 39 items. 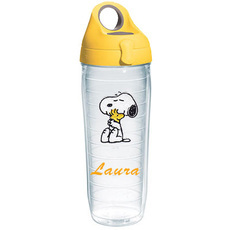 Snoopy and Woodstock know a hug is great to share. 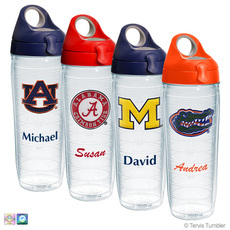 An insulated clear personalized Tervis water bottle will keep you hydrated and on the go. 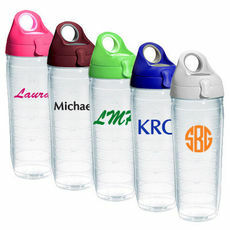 This high quality, shatterproof double-walled water bottle..
Personalized Tervis Tumblers are one of the most popular beverage holders that keep drinks color or hot. 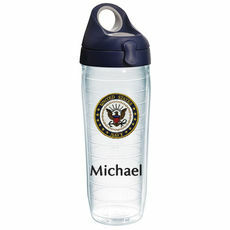 They may very well be the world's first smart cup. 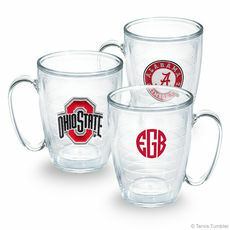 These are wonderful products which won’t crack, melt, shatter, or chip with normal care according to the instructions provided. 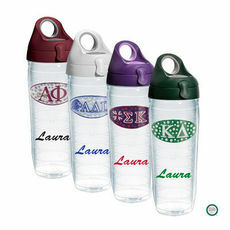 They are even dishwasher safe on the top rack for easy care. 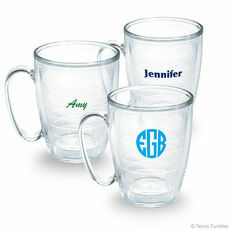 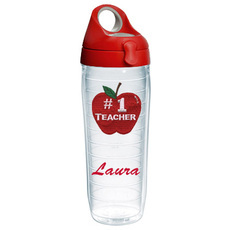 Offering many designs, monograms, imprint colors and personalization styles, you can create your own Tervis Tumbler or Waterbottle that will provide great quality and style for years to come. 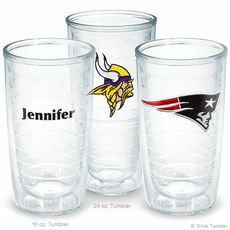 These make great gift ideas too. 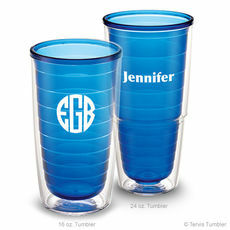 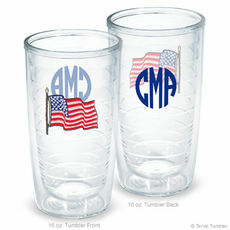 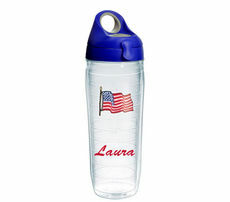 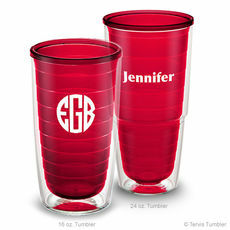 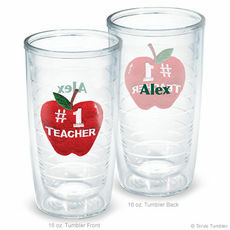 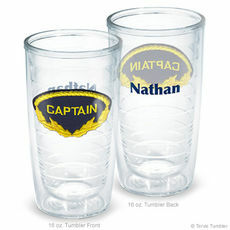 Tervis offers many tumbler sizes with many fun lid colors so you can really personalize something special. 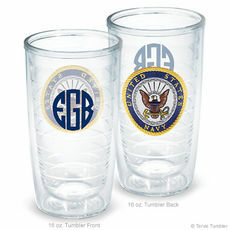 In 1946, Detroit engineers Frank Cotter and G. Howlett Davis hit on something big. 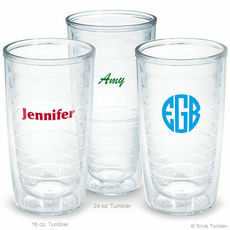 They were able to harness the natural insulating powers of air to create a permanently sealed, double-walled tumbler. 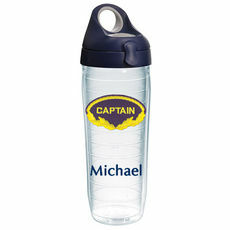 Finally there was a way to keep drinks the temperature intended. 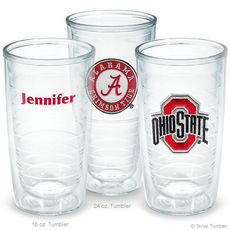 This outstanding innovation, which also provided a super strong material changed the drinkware industry forever. 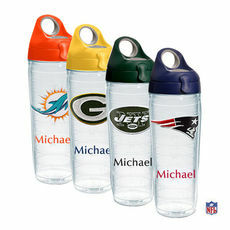 It was a real game changer. Combining the last three letters of each of their last names, Cotter and Davis dubbed their new cup brand “Tervis”. In the years to follow, they worked hard to refine and improve their designs. 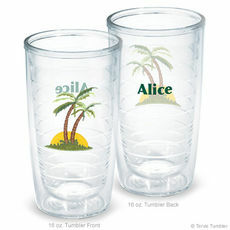 The original tall, cylindrical tumbler evolved into additional sizes and products.